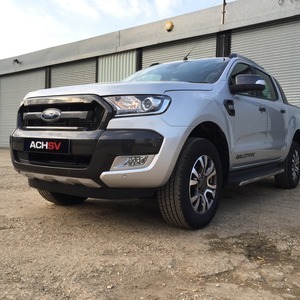 Supplied and fitted by ACHSV 4×4, Silverstone. Land Rover Defender 90 VB Air Suspension – from £5265+vat fitted. The Land Rover Defender has always been a little on the bouncy side on all but the smoothest roads, especially the 90 as the vehicle tends to yaw fore and aft due to it’s relatively short wheelbase. Any vehicle with live axles struggles to maintain a smooth contact with the road and the suspension on the Defender is a compromise between handling, load carrying and off-road ability. With Air Suspension, all of these requirements are catered for. 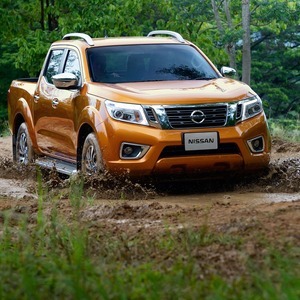 Better road handling and comfort, self levelling to maintain a constant ride height with heavier loads, better traction off-road due to constant pressure on the ground and safer towing at speed. 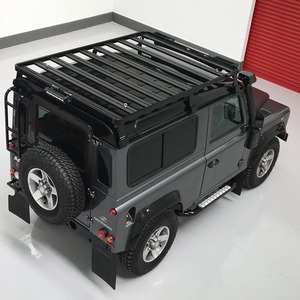 The system has a hand control to enable raising and lowering with a Car Park setting that lowers the car approximately 75mm for loading and unloading, a 20mm lower than standard Sport function for hi speed roads and a 40mm raised function for off-road. If a speed of 40km/h is reached in off-road, a sounder will bleep and the system automatically lowers to standard ride height. 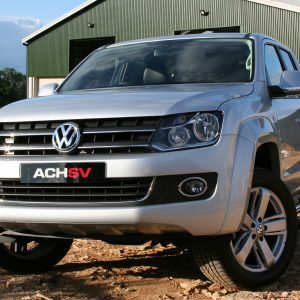 The system has full TUV safety standard approval throughout Europe and carries a 2 year warranty.